Abigail hates to swim. She always tries to be the last in the line, because she knows what is coming. 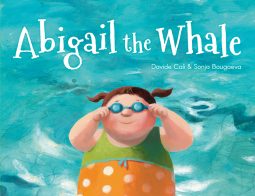 When she dives in her body, which she sees large, big, and heavy, makes a huge wave, and everybody starts saying "Abigail is a whale!". Oh, how she hates to swim! Things changes the day her swimming teacher tells her that "we are what we think", and that if she wants to swim light, she has to think light. Abigail decides to give it a try, and actually when she thinks water she feels liquid, and she is not scared anymore when she thinks giant. Next Wednesday is time to try it in the pool. Can Abigail do it? Armstrong is a little mouse who wanted to show the rest of the mice that the moon wasn't a ball of cheese. He works untiringly to understand the concepts involved in space travel, and after that in creating a safe rocket ship. 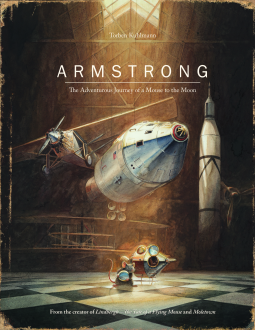 Despite the obstacles Armstrong never gives up, until his dream comes true. 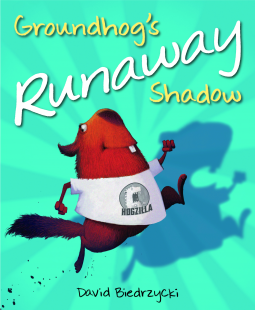 This is a picture book for older kids who are independent readers. It can also work for reading aloud to some younger kids interested in the topic since the text is not extremely challenging, but in this case I see its length as an issue. In any case the quality of the book is worth a try. The illustrations are incredibly beautiful. The story is full of them, detailed and expressive. I also includes many rocket sketches that I really loved. I read Moletown by Kuhlmann some time ago, and I am still impressed by his talent as an illustrator. At the end of the book "A Short History of Space Travel" is included. A book to own. 5 stars. Joe and Sally found some strange footprints in the kitchen floor, and all the evidence points to a hungry, heavy, dancing and swimming dinosaur. They have worked very hard building a perfect dinosaur trap. Will it work? Lovely story with lovely characters. They know the footprints were made by a dinosaur despite their father saying dinosaurs are extinct, and they are confident of being capable of catching it if they succeed in making the perfect trap. So when the unthinkable happens none of them are surprised. They knew it all along, didn't they? 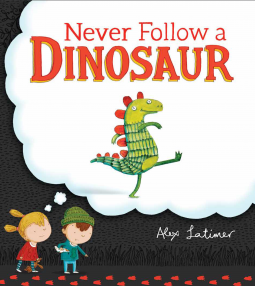 Wonderful illustrations and refreshing text make a funny story about curiosity, perseverance and imagination. It wasn't just a branch. It was her ship, a castle, her throne, her spy base. That's why when the branch falls during a heavy storm, the girl doesn't want to let it go. She wants to keep it for ever. Mom doesn't like the idea. Thankfully Mr. Frank, her next door neighbor, sees the branch's potential. Her branch can become something great after all. Together they work for a long time on the branch until it is ready to be again a ship, a castle, a throne, a spy base. I liked many things about this story. I liked all the imagination involved in the girl's (screen free) games, and the love she has for those memories. I liked all the talk about potential, finding a new purpose for the branch, transform it in something great, new but still her branch. I liked the beautiful relationship that grows between her and Mr. Frank. I find cute and important to recognize what elderly people has to give to little kids. 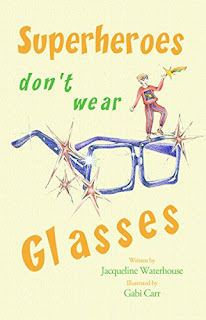 They have the time and knowledge to share, and this story, like others I have read recently such as Harry and Walter and Maggie McGillicuddy's eye for trouble, make a point of it. 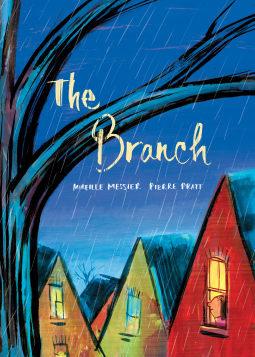 The illustrations are colorful and bright, and in them the branch never looks like just a branch. It's a cold and wintry night. The almost full moon reflects in the snow making everything bright. A boy and his grandma are preparing soup in their cabin to fight the cold. There are sticks to pick, a fire to light, and vegetables to cut. Lots of soup are needed, since it is going to be shared with all the people they know, and all they don't. 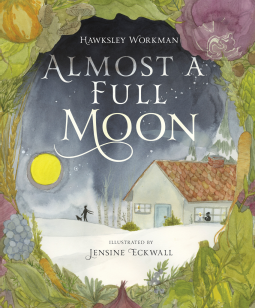 This picture book is based on the lyrics of a Workman's song "Almost a Full Moon" from his holiday album with the same name. 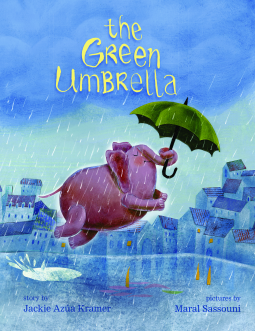 The rhymed text reads fluid and effortless, and the illustrations are delicate and cozy. Beautiful bedtime story.